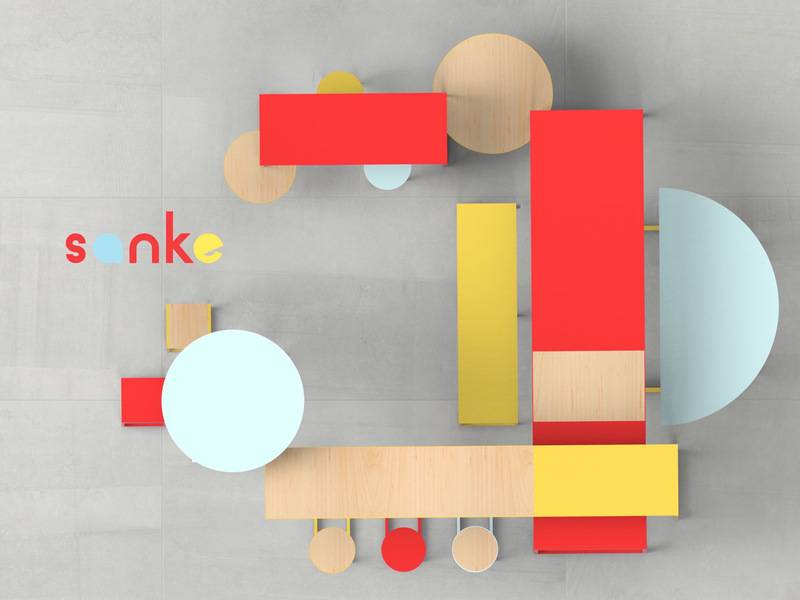 Sanke, is a new form of communal table that encourages human interaction while dining. 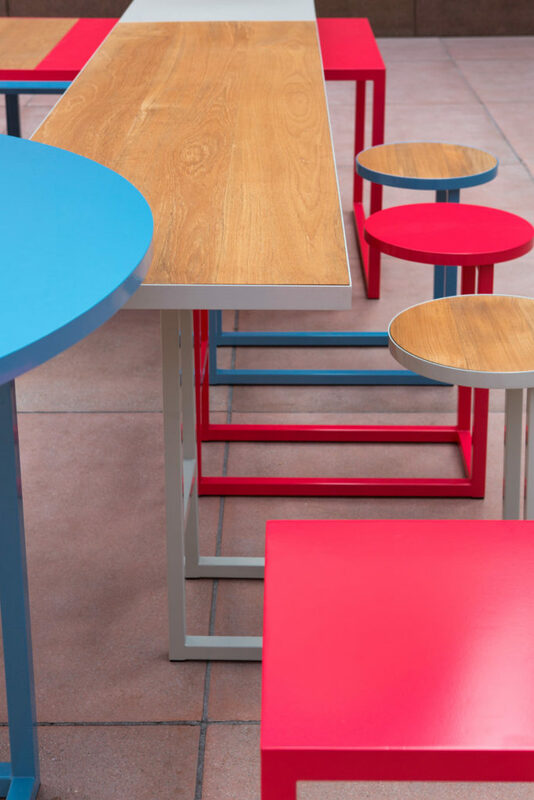 Sitting at Sanke, individuals will be linked to each other and feel accompanied even when they dine alone. 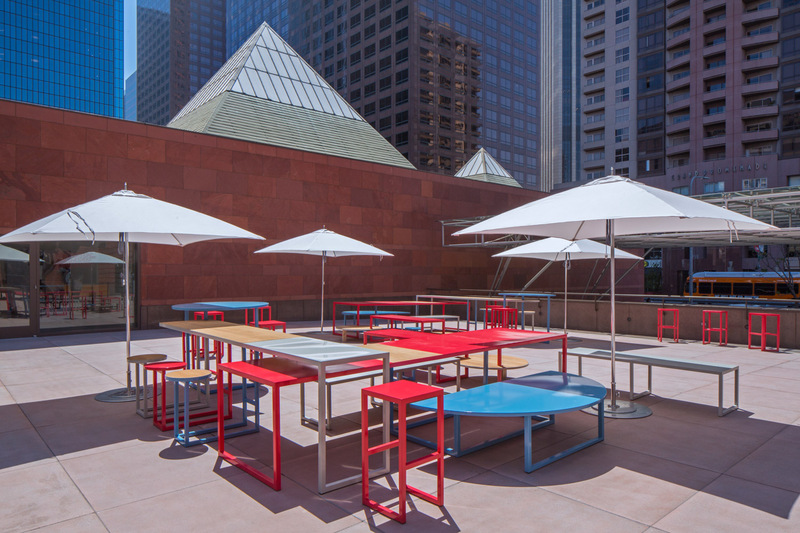 Sanke materialized out of a MADWORKSHOP sponsored studio at the ArtCenter College of Design entitled Re-Defining Public Furniture & Fixtures. 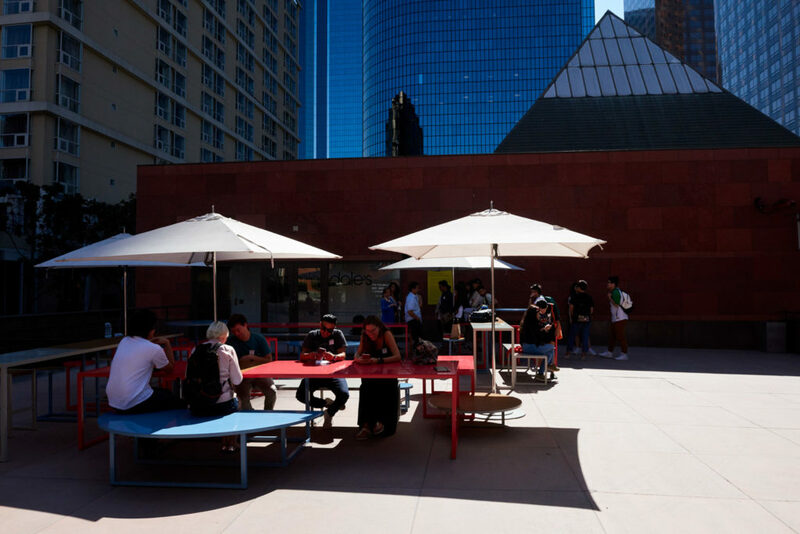 The studio explored how shifting social norms and evolving technology inspire adaptations in furniture and fixtures, thereby changing how we interact with these spaces. 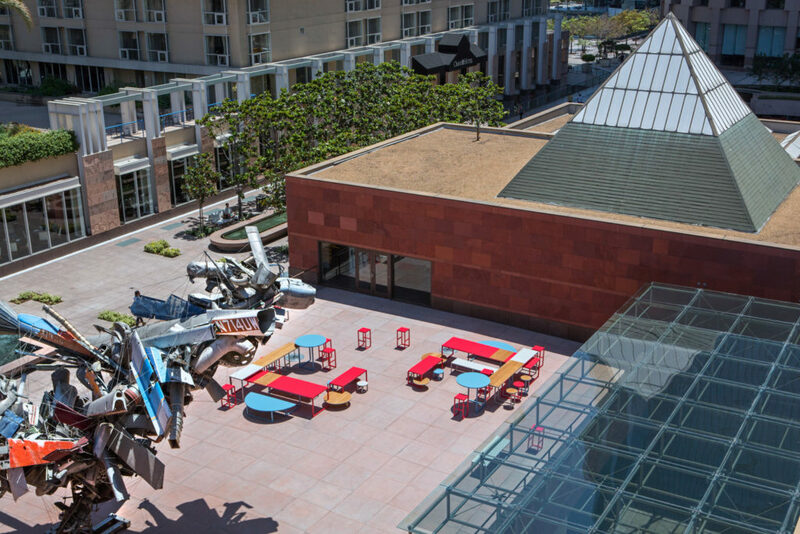 Furnishings play a critical role in bridging the gap between technology and the possibilities for new behaviors in outdoor space. From the many brilliant student projects, Sonia Lui’s Sanke captured the foundation’s imagination for its innovation and potential to make positive social contributions to the urban environment. 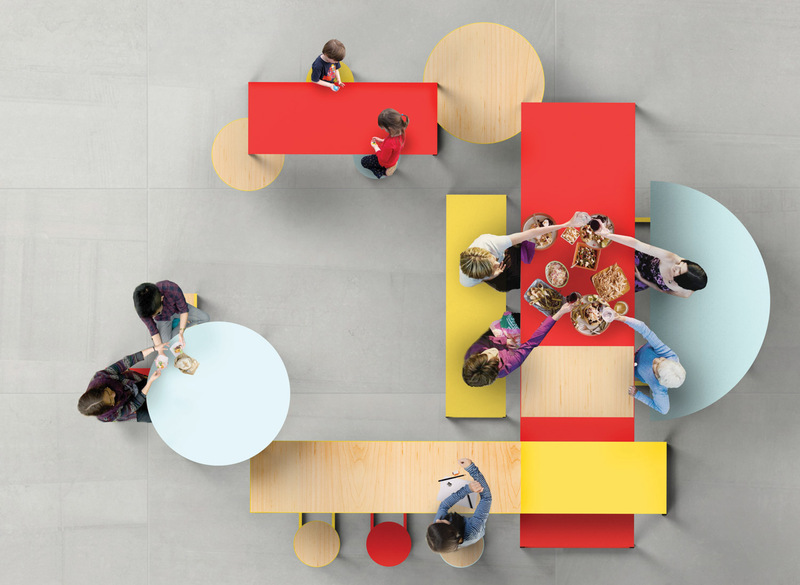 Sanke, serves as a new and playful form of communal table that encourages human interaction while dining. Sitting at Sanke, individuals can connect and feel a sense of togetherness even when they dine alone. 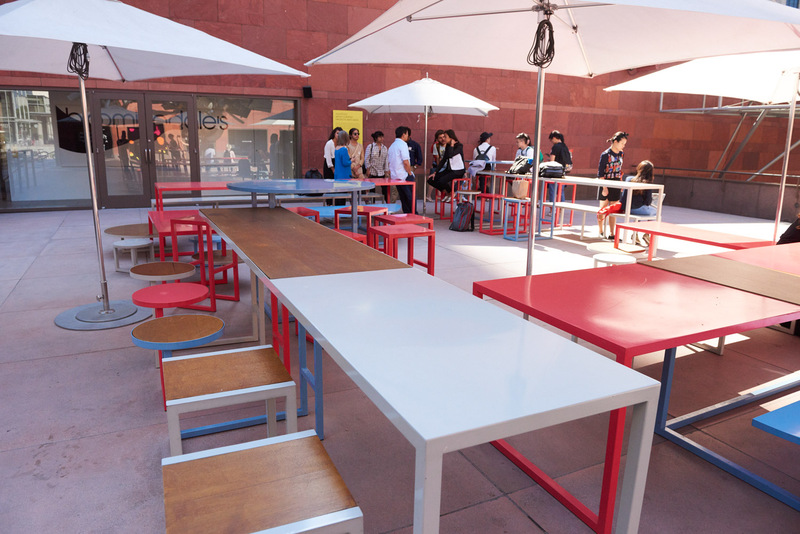 The whimsical primary colors and varied seating clusters afford visitors a sense of individuality and flexibility in their user experience. Since 2016, Sanke has enlivened the plaza at the Museum of Contemporary Art, Los Angeles (MOCA) on Grand Avenue.